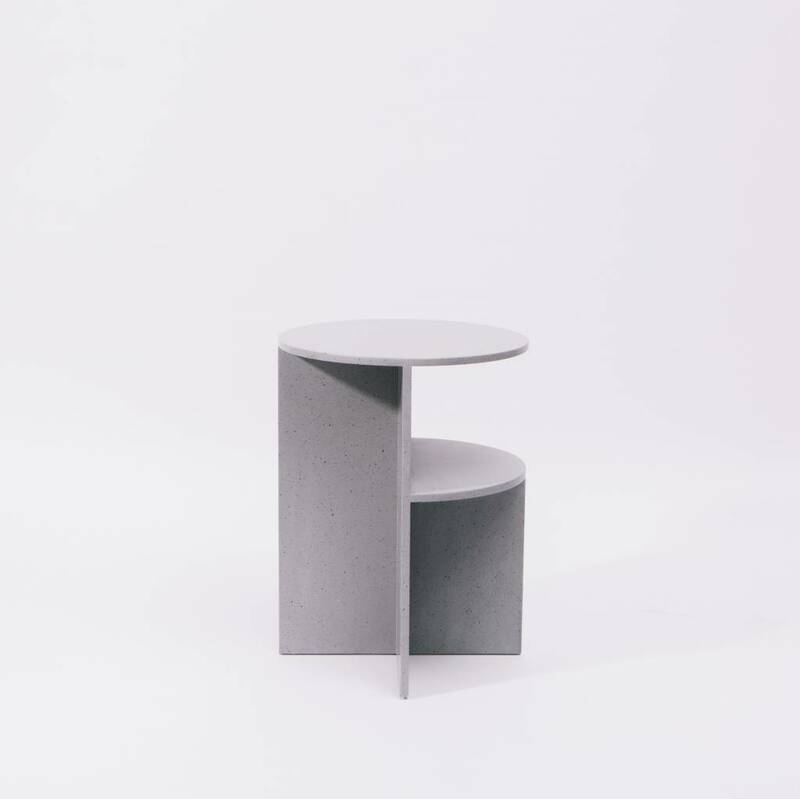 “The HALVES table is youthful and informal in its aesthetics, but represents more traditional values of durability and practicality simultaneously. 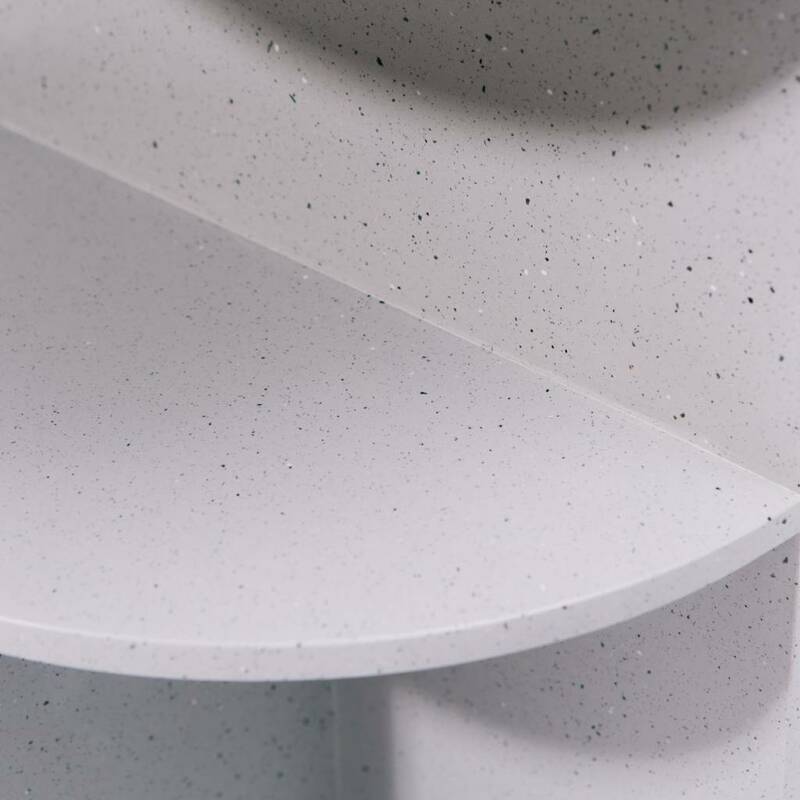 We were inspired by the unique properties of the solid surface material which led to the specific exploration of form with an emphasis on planes and intersections. 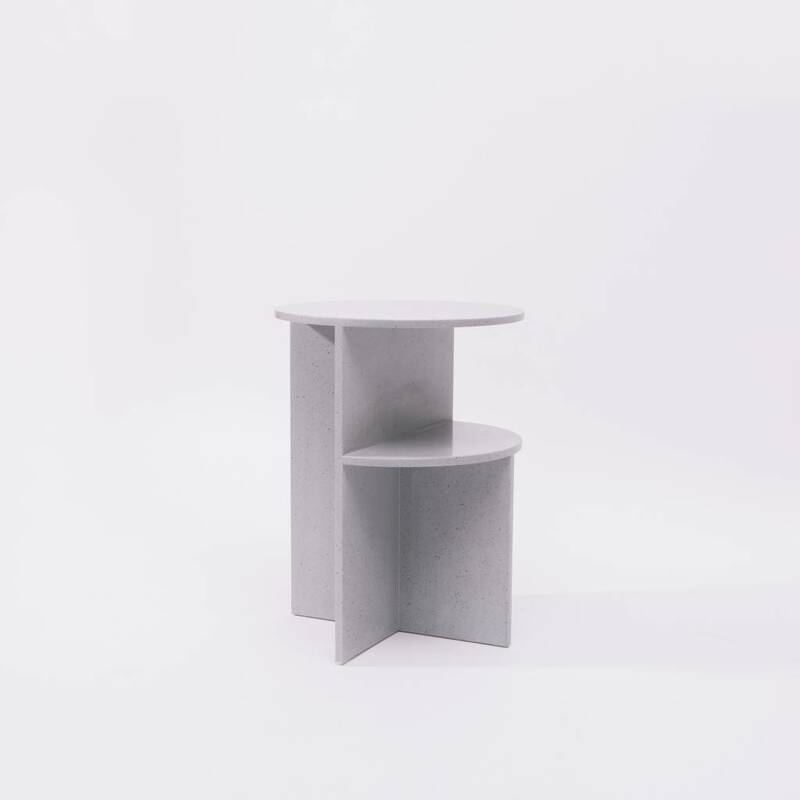 The "Halves Table" is an object balancing between furniture and sculpture, in a robust and unique acrylic stone composite. 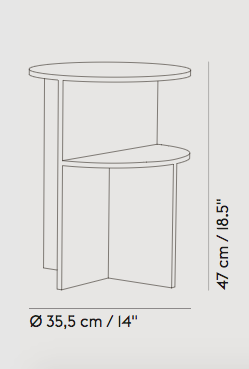 Use next a sofa setting, besides the bed, in hallways or to elevate and display your favorite objects or plants. 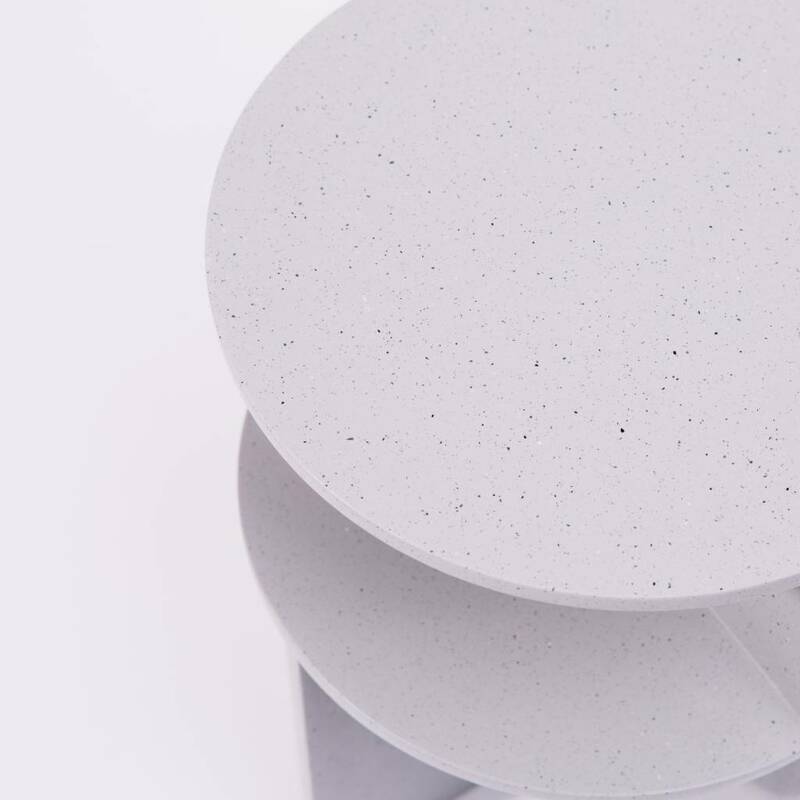 Materials: Acrylic stone composite. 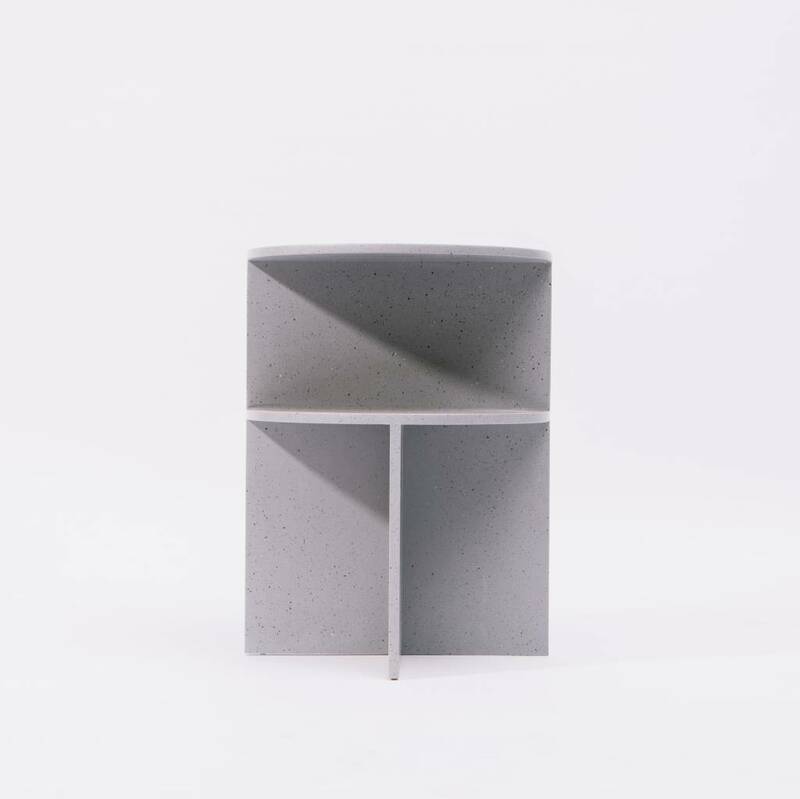 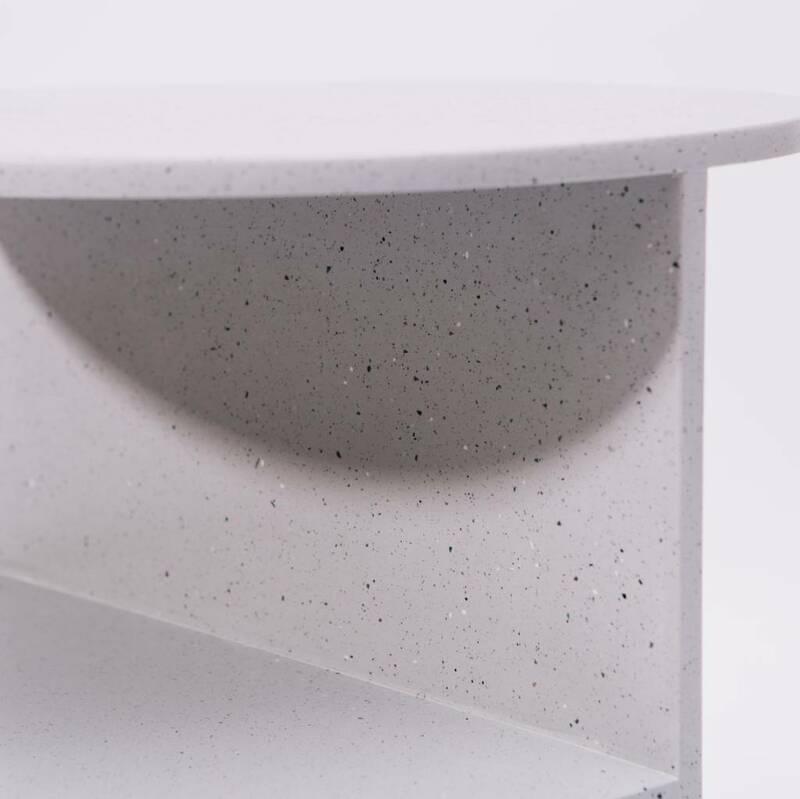 The Halves side table’s surface material is water resistant.